This is Kentucky Wildcats Gr8Ness April 2, 2012 Lexington Herald-Leader Newspaper Reprint approx 9x14 Photo and Matted to overall size of approx 14x19. Wrapped in plastic and ready to frame. 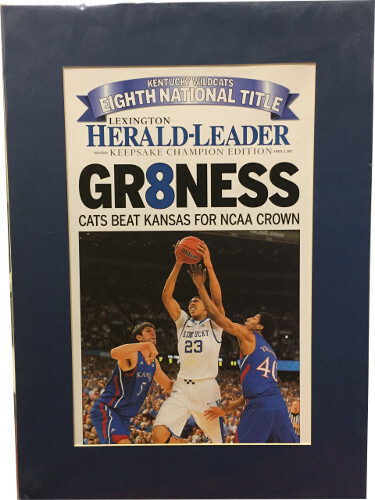 This reprint commemorates Kentucky beating Kansas for their Eight National Title in 2012.